The President of the Pontifical Academy of Sciences exalts China as the best implementer of the Churches’ social doctrine. The bishop seems oblivious to the shantytowns of Beijing and Shanghai, the expulsion of migrants, oppression of religious freedom. Appreciation for the Paris Climate Agreement, but silence on the links between wealth, corruption and pollution. An ideological approach that makes a laughing stock of the Church. Rome (AsiaNews) - When my friends tell me they are going to China, I always advise them not to stop at the shopping centers, the ultra-luxury hotels and the skyscrapers, but also to go to out to the peripheries to get a better picture of real China. Since the economic disaster into which it had sunk after Mao's death, the country has certainly made great strides, lifting hundreds of millions of people out of poverty, modernizing industries and becoming an economic superpower that now overshadows the United States. But from here to presenting China as the "Land of Wonders" is a bit too far. 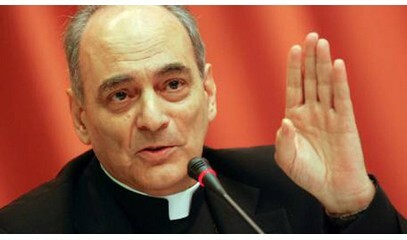 In his interview following his recent trip to Beijing, Msgr. Sanchez Sorondo describes a China that does not exist or that vigilant Chinese escorts did not show him. "There are no shantytowns", proclaims Msgr. Sanchez Sorondo. Did our bishop try to go to the south of the capital, where for months the city government has been destroying buildings and houses and driving away tens of thousands of migrant workers? Not to mention the suburbs of Shanghai or other Chinese megalopolis, where a "cleansing" is underway and a ban on the "low-end" and defenceless population? The bishop, who is President of the Pontifical Academy for Sciences, even states that the Chinese are "the best implementers of the Churches’ social doctrine". But perhaps he is not referring to these mass expulsions, which are very similar to a fruit of the "culture of waste" so highly criticized by Pope Francis. "No drugs", says the bishop: but did he go to Chinese prisons, filled with drug dealers and drug addicts, many facing the death sentence? And in Shenzhen, which is also the drug hub for Hong Kong? Not to mention religious freedom in China. Religious freedom should be a pillar of the social doctrine of the Catholic Church. We should perhaps propose the bishop read the daily news tracking violence, arrests of Christians, Muslims, Buddhists, abuses on domestic churches, checks on official churches. The same rough road of dialogue between China and the Vatican shows the difficulty with which Beijing is reluctant to swallow drops of religious freedom for Catholics. Maybe someone should tell Msgr. Sanchez Sorondo that since February 1, since the implementation of the new regulations, all the unofficial churches have been closed and at least 6 million Catholics have no meeting places: the threat of the regime that "best implements of the Churches’ social doctrine" is arrest, stratospheric fines and expropriation of the buildings where the faithful gather. Furthermore, local authorities will henceforth prohibit "minors under the age of 18" from entering churches, even official ones. As one priest said, "China has transformed the church into a night club, for adults only ". Let’s not mention the naivety with which Msgr. Sanchez Sorondo speaks of the Middle Kingdom as the place where one looks at the "common good", where the economy does not dominate politics. What we need to mention, instead, is that in China the economy and politics are the same thing; that the billionaires sit in the Chinese parliament and determine politics according to their interests, which are not those of the rest of the population. According to scholars, at least one third of the Chinese population does not directly benefit from China’s economic development: farmers and migrants are not guaranteed land ownership (promised in the days of Mao and never kept); social rights and sometimes even pay are withheld, as shown by the monthly reports of the China Labor Bulletin. Of course, and the bishop rightly states that China - unlike Trump and the United States - has decided to remain in the Paris Agreement on climate. But for now "it has promised" to work to stop pollution, and the country has the most destroyed and poisonous environment in the world. This is undoubtedly the fault of many Western investors who exploit the sluggish Chinese legislation, but it is also the fault of the greed and corruption of Party members who prefer, just like many in the world, an immediate profit at the expense of their own population. We can understand that in the enthusiasm of wanting an agreement between China and the Vatican, Chinese culture, Chinese people and Chinese mentality are exaggerated and exalted - as Pope Francis does - but presenting China as a model ... We should listen to the African bishops, who see the economy of their countries destroyed by the invasion of Chinese investment and labor and who watch as their resources are stolen from them, just as it once happened with the western colonizers. It is true that in the world everyone is pressed to choose between the United States and China, between liberal capitalism and state capitalism, but the idolization of China is an ideological affirmation that makes a laughing stock of the Church and harms the world.